It&apos;s no secret that the Great Smoky Mountains offer some of the most beautiful scenery in the country. Each season brings a delightful new look, from miles of brilliant greenery in the early spring to a stunning blanket of white when winter takes over. Visitors enjoy the view from cars, tour busses, and even on horseback, but to truly take in the splendor of the area, you&apos;ll want to pull on your boots and head for one of the hundreds of hiking trails that crisscross the landscape. The stunning scenery and the crisp mountain air aren&apos;t the only reasons to hike the Great Smoky Mountains, though. According to WebMD.com, hiking is a fantastic workout with the power to improve your cardiovascular health, lower your blood pressure, and strengthen those important core muscles. You&apos;ll also enjoy better balance, easier weight control, and less stress and anxiety. With all that going for you, it&apos;s easy to see why nearly 35 million Americans took to the trails in 2012, according to the Sports, Fitness and Leisure Activities Topline Participation Report for that year, published by the Sporting Goods Manufacturers Association. One reason for this trend might be that hiking is a sport nearly everyone can enjoy. In fact, with little more than a sturdy pair of shoes, you&apos;re ready to head for any one of the dozens of beginner-friendly trails the Great Smoky Mountains has to offer. The Gatlinburg Trail is one of several that offer both flat ground and relatively short distance, making it perfect for every skill level. Not only that, but at just under two miles, it&apos;s also ideal for a family outing, even with small children or dogs along for the fun. With so many things to see and experience when hiking the Great Smoky Mountains, it&apos;s helpful to consider what each trail has to offer. Whether you enjoy taking a closer look at history, getting to know the local wildlife, or gazing upon miles of mountains and valleys spread out below, you&apos;ll find a handy trail to take you there. History – The Great Smoky Mountains were first settled by Europeans sometime in the early 1800s. These hardy homesteaders left behind many of their cabins, farms, and churches, and a trip to Cades Cove is a wonderful way to enjoy a glimpse back in time. While the 10-mile loop road is walkable, for a more intimate look at history, you&apos;ll want to get out on one of the many trails that begin in the cove. Wildlife – The Great Smoky Mountains National Park is home to hundreds of species of animals, and hiking is quite simply the best way to see them. Among the most commonly seen animals are whitetail deer, groundhogs, and squirrels, and nearly any trail you choose will offer a chance meeting of one or more of these beautiful creatures. Birdwatchers will find more than 200 species nesting in the park, including several that are considered threatened or endangered. Bring your binoculars and your favorite birding guide and pick nearly any trail for a good chance at spotting some feathery friends. Waterfalls – Miles of streams and rivers, plenty of rainfall, and the rocky terrain of the park mean an abundance of spectacular waterfalls to see, many of which can only be reached on a hike. 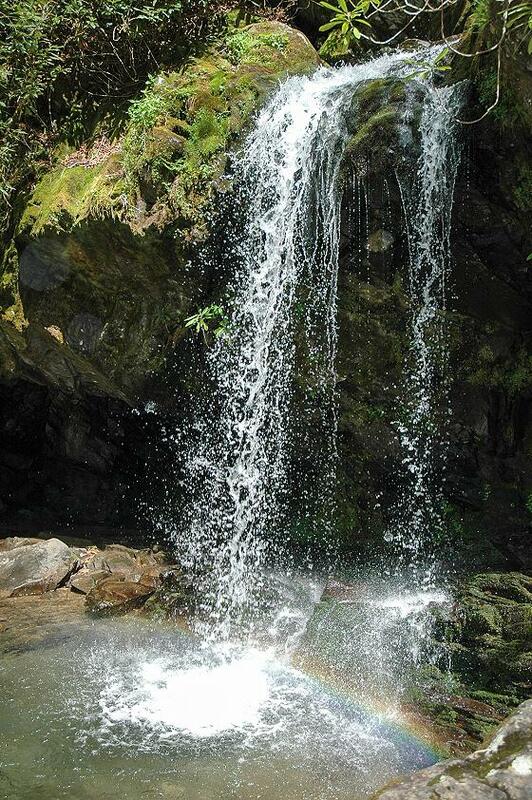 Indian Creek and Toms Branch Falls are ideal for beginners, with an easy 1.6-mile hike to the falls. Mingo Falls is one of the tallest in the area and impressive to see. The trail is short, but considered moderately difficult. Experienced hikers will want to head for Ramsey Cascades, the highest falls in the park. Plan to spend 5 to 7 hours round-trip for this excursion. While many of the park&apos;s trails are well maintained and monitored, the Great Smoky Mountains are primarily a wilderness area. As such, nature has the final say in trail conditions. Hikers are advised to keep safety in mind as you set out. Never hike alone – Always have a partner with you and be sure to keep children within sight at all times. Leave enough time – Most trails offer an estimated hiking time. You&apos;ll want to start out early enough to be back well before dark. Allow for extra time if you&apos;re hiking with children or are inexperienced. Wear appropriate clothing – Sturdy shoes (no sandals or flip-flops) are a must, and keep in mind that the temperature can change rapidly as you climb to higher elevations, so dress accordingly. Thinking of visiting the Smokies? Don&apos;t forget to pack your hiking gear, because with more than 800 miles of trails to explore, you&apos;ll have ample opportunity for family-friendly fun. Not only that, but with a good mix of both easy and more challenging hikes, you&apos;ll also enjoy experiencing the natural beauty of the area while improving your health. Be sure to visit our site for even more to see and do in the Great Smoky Mountains.